An indictment accuses Tony Hernandez of being "a large-scale drug trafficker" so involved in the cocaine trade that the drug was sometimes stamped with his initials. 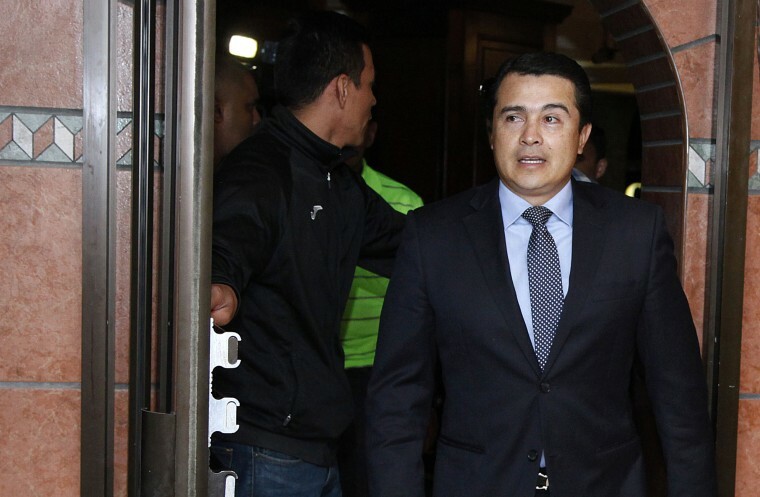 A brother of Honduran President Juan Orlando Hernandez has been charged in the U.S. with scheming to bring tons of cocaine into the country. Federal prosecutors in New York announced drug conspiracy and other charges against Antonio "Tony" Hernandez on Monday. He has previously denied involvement in any illegal activities. The former Honduran congressman was appearing in court in Miami, where he was arrested Friday. His lawyer's name wasn't immediately available. An indictment accuses the 40-year-old Tony Hernandez of being "a large-scale drug trafficker" so involved in the cocaine trade that the drug was sometimes stamped with his initials. The indictment says he arranged for heavily armed security — sometimes including Honduran police — for drug shipments and paid and took bribes to smooth the flow of drugs and money.